In comparison to the advanced mechanisms under your hood, you may not think that belts and hoses are that big of a deal, but you’d be wrong! The belts and hoses in your car go largely unnoticed when they are doing their jobs, but when something goes wrong with them, it could cause major damage. Let Felix Auto and Tire inspect your belts and hoses frequently to prevent any automotive disasters! The timing belt is sometimes called a Gilmer belt or a camshaft drive belt because it allows the crankshaft to turn the camshaft. When a timing belt breaks, it will cause the car’s engine to fail, and there will probably be a lot of engine damage to go along with it. The timing belt can loosen or slip over time, which is, ironically, lucky compared to a sudden break. The drive belt is also called a serpentine belt, and it is responsible for powering several elements within your vehicle, including the air conditioning compressor, power steering pump, cooling fan, and air injection pump. 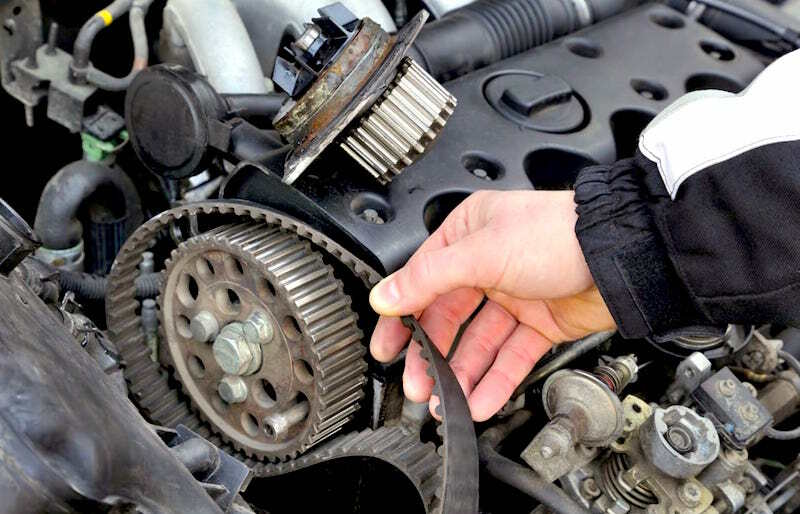 A broken drive belt will stop the engine immediately, and it can cause a lot of damage as well. Cracks, wear, and stripping are common in older belts that need to be replaced. Listen for screeching sounds, especially in colder weather, when you start the car, and have your drive belt replaced between 35,000 and 50,000 miles – before it causes any major damages! Your car’s cooling system consists of several rubber hoses. In addition to your radiator and heater hoses, your car may also have a bypass hose. Any hose can develop small cracks. When these cracks form on the inside, you have no way of knowing when one might burst, causing the engine to overheat. Have the hoses checked out at least 2 times a year to avoid this situation!